Makerere University on Thursday resumed elections as students in various faculties turned up to vote for their Guild Representative Council (GRC) members as stipulated in Article 74 section 4 of the Makerere University Guild Constitution. 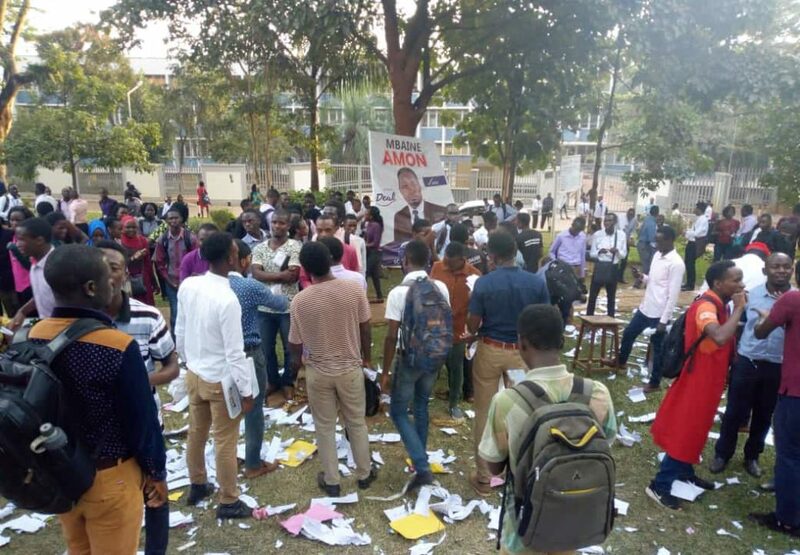 However, chaos erupted at the School of Medicine when bitter voters took matters in their own hands after realizing that some candidates participated in ballot stuffing. 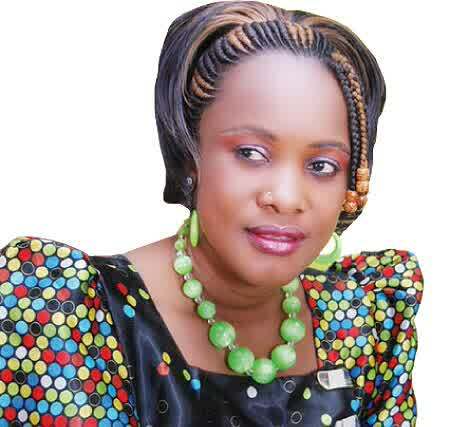 The chaos was later followed by pictures of torn ballot papers circulating on various social media platforms. The election which featured six strong candidates kicked off at around 9:00am with a low turn up but voters gradually increased towards the climax of the election at 3pm. Despite giving an excuse that they had a progressive examination, year two students who showed up at polling stations past 3pm were denied a chance to vote. 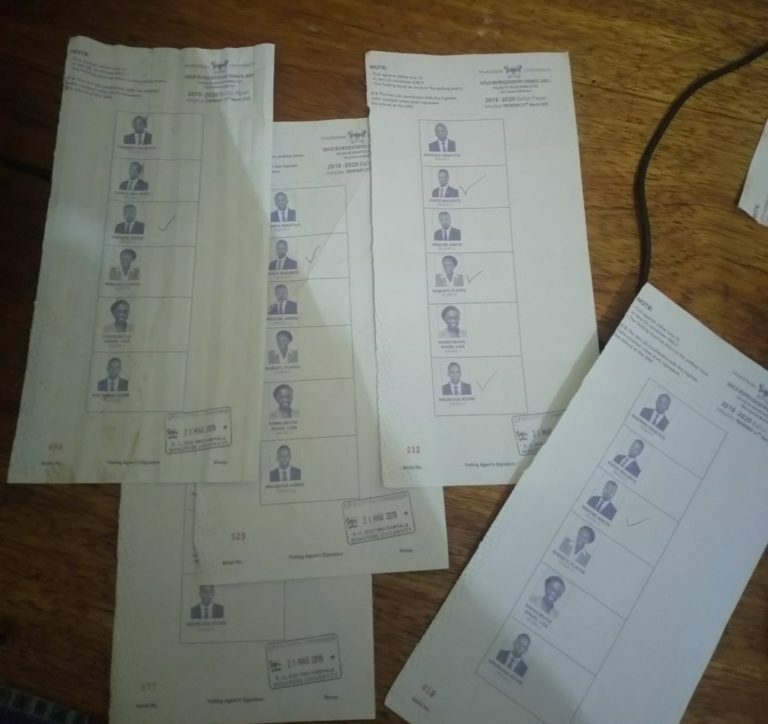 The calm, anxious students were shocked at the vote counting moment when they witnessed that some ballot boxes contained ballots bearing false signatures of the polling agents and others with no signatures at all. This confirmed the suspected ballot stuffing and inclusion of non-students in the voters’ register, an incident that made candidates’ agents go wild. The furious students grabbed all the ballot boxes and scattered everything in the air, before tearing apart some of the ballots at the polling station. Police officials tried to calm down the situation but all in vein. Reports have emerged that the election process will be repeated on Monday, this however cannot be confirmed because the Guild Constitution allows students to vote for GRCs within 7 days after voting for the Guild President.